Designing a feature of a web application has always been the most exciting thing to do for me. Will the users find the feature useful? Did I design the feature correctly? Will the users understand how to use the feature? Do the users need this feature? And many more questions kept hammering my mind. But now that I have a fair bit of experience designing some of the complex features that are used by other businesses to get their daily work done, I have noticed couple of things that I find myself asking often before I sit down to design any feature. These two questions have redefined the way I have approached web application design over all these years. What I have realized is that you don’t have to design all the features the same way. Every feature has its weight when it comes to being useful to the users. And these two questions help to weigh the features properly and design accordingly. Let me go into details of each of these. How Many Users will Use the Feature? It is always important to know how many users will eventually end up using a particular feature of your web application. After all, you don’t want to invest time on something that no one will use, right? But how does this question help you to design a feature in a better way? Here are couple of design considerations to keep in mind depending on the answer to this question. If a feature is going to be used by majority of the users, then you need to make it clearly visible in the UI so that almost all the users see it. 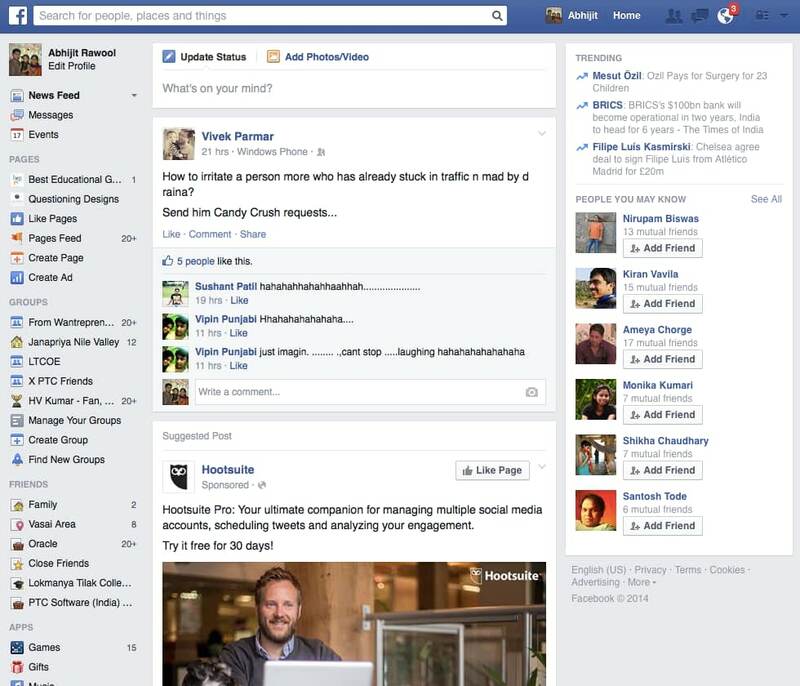 For Facebook, almost all of its users use its Wall to see and comment on posts. So it keeps it right in front of the users. On the contrary, a feature that will not be used by majority of the users need not be visible right up front. You can either decide to not have the feature at all in your web application or if you have to include it then you can design it to be less obvious to the users. 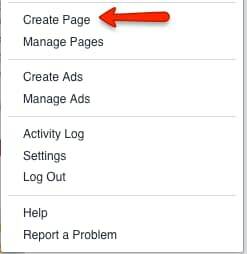 Facebook allows users to create Pages for their businesses, websites, hobbies etc. But this feature is not used by many of Facebook’s users. So Facebook makes it less obvious by hiding the Create Page action under a menu. Knowing exactly how many users will use a particular feature will help you to decide where all of the layouts, actions, icons etc. of the feature needs to be placed in the UI. How Frequently the Feature will be Used? In addition to knowing how many users will use your web application, it is also essential to know how frequently the users will use that feature. Given below are some things to consider in your design depending on the answer you get for this question. If a particular feature is going to be used frequently by the users then you need to make sure that it takes minimum number of clicks for the users to use that feature. Ever wondered why Facebook lets you to view all the updates from your friends and family by just scrolling the Wall or Like a post by just clicking once? In contrast to this, if a feature is not going to be used frequently then you can design it to take more number of clicks to use it. 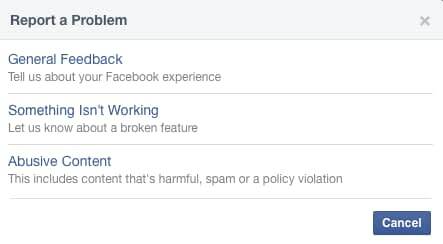 That may be the reason why reporting a problem to Facebook needs more clicks than posting a comment on the Wall. Helping the users to easily use the most frequently used feature will make your web application score high on usability. Answers to both the questions that I just talked about can rarely be used in isolation and so you will have to club the answers eventually. 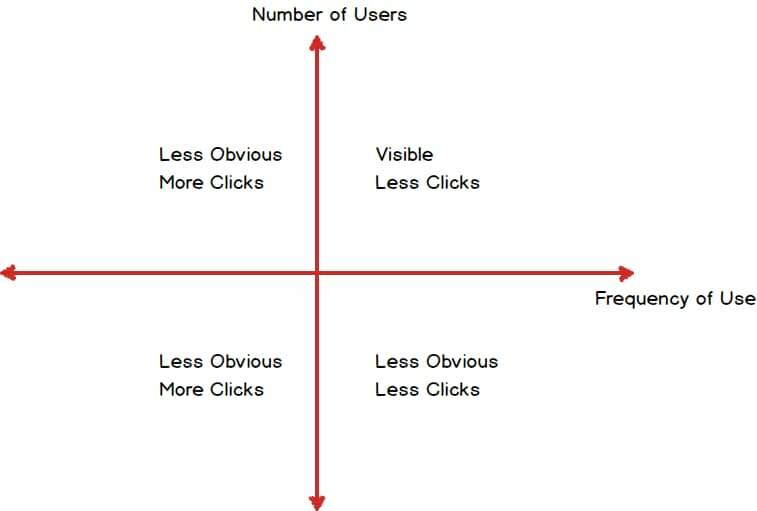 A feature that is used by majority of the users quite frequently needs to be visible right up front and should take less number of clicks to use. A feature that is used by majority of the users but used less frequently, like a setup task, should be designed to be less obvious (even if used by majority of the users) and take more number of clicks to use. A feature that is used by less number of users and that too not frequently can be designed to be less obvious in the UI and take more clicks to use. Or it can be removed from the web application altogether. A feature that is used by less number of people but quite frequently should be designed to be less obvious and take less number of clicks. Here is a simple diagram illustrating these cases. Following these simple rules will help you immensely when you start out to design the UI of your web application. When it comes to designing the features of your web application, it is very easy to get carried away and jump straight into designing the UI. Taking a step back to think about how many users will actually use the feature and at what frequency, will give you a clear idea of how the design needs to be laid out. And if you are stuck on deciding the list of features, then you should first design the Conceptual Model of your web application. 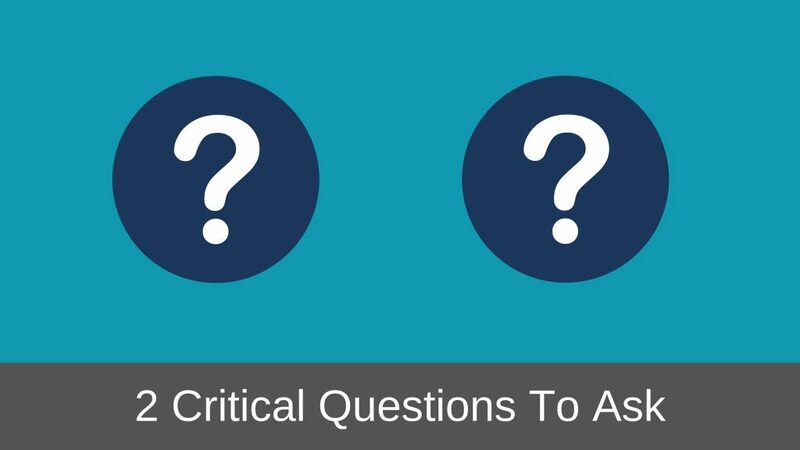 I hope you have now got a better understanding of how these two questions can help you to design better web applications. How do you go about designing the features of your web application? I will love to hear it in the comments below. And as always, if you liked this article, please share it with your friends and family, I will really appreciate that. I am Abhijit Rawool and I absolutely hate to travel. Web App Huddle is the website where I share anything and everything about Web Application Design as I learn it. Ever Wondered How to Design Web Apps In Just 5 Steps? 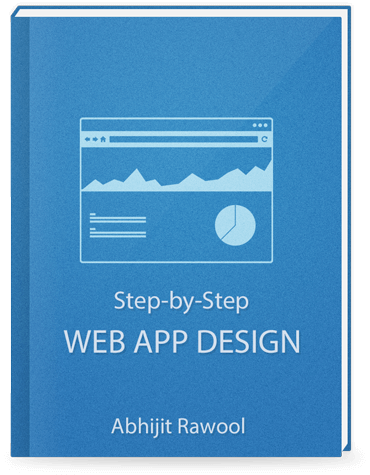 Sign up for the free Rapid Web App Design Course to learn how to rapidly design web apps that people will love to use!